From Bronte and Glen Abbey to Eastlake, Palermo and the Uptown Core, Oakville relies on one team for award-winning expertise and customer service that can't be beat – ours! At Reliance, our call support is always there when you need help or have a question or concern about your heating, cooling, plumbing and more. And our technicians and installers are fully licensed and receive ongoing training so you know you'll always get the service you want, from start to comfortable finish. We also have some of the best protection plans and guarantees you'll find anywhere, ensuring that, even when we leave your home, we're still there to take care of you. Our goal is simple – to be your first choice for home comfort, from the scorching days of August to the subzero nights of February. Sure, it's our job to keep you comfortable – but we love doing it, too! Oakville is a special place and our team is happy to be part of it – not just because we work here but because we live here too. Here are a just a few of the ways our team is helping build our community along the lake. 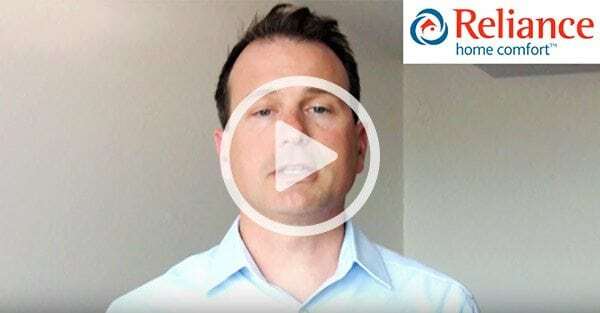 Ross and his team provide expert HVAC, plumbing and water solutions and services to families living in the Hamilton, Halton and Niagara region. Take a look at some of the community work they’ve done in your region. If you and your family are looking for any home comfort solutions give Ross and his team a call today! Our Oakville tea m believes every family deserves a comfortable home. It’s we’re such strong supporters of United Way and Habitat for Humanity. We also love to encourage children in the community to be active, so if you have a sports team that is looking for a sponsor, feel free to contact us. 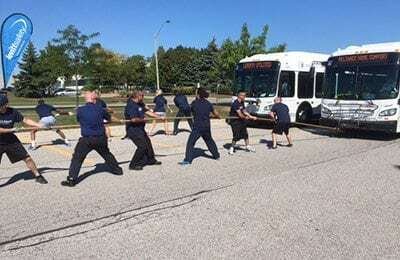 Reliance team members exhibited unparalleled display of shear power and prestige as 8 of our team members pulled a full-size city bus to almost victory at the Oakville United Way Bus Pull! We finished in third place with a time of 24.5 seconds, beat only by the firefighters and police. We’ll get them next year! 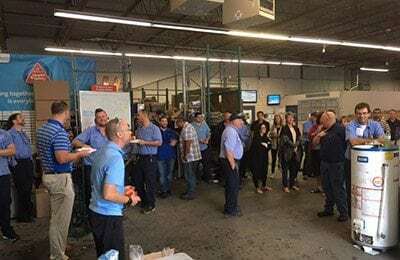 Our annual BBQ in support of United Way gives our team the opportunity to donate via payroll deductions, making a regular small contribution that has a huge impact on our community. Reliance matches every dollar its team members donate – doubling the impact of the funds raised. We know that one in three families in our local communities benefit from the agencies supported by the United way so we come together to fundraise and give generously! As part of our holiday events, we partnered with local community organizations in an effort to help make the holidays a little brighter for those in need. 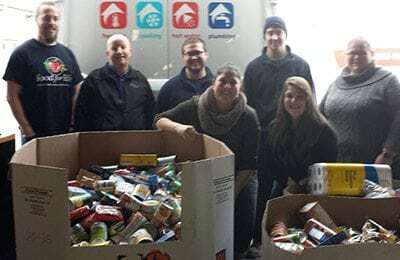 We partnered with United Way and Food for Life and through the contributions and generosity of our team members, we were able to deliver a truck-load of non-perishable food donations. Food for Life is a great organization that works with other agencies to ensure that food gets into the hands of those in our communities who need it most. "Vince the salesman came in, great person, not pushy, broke it all down, did the math on rent or own. Came in to check up when the installers were in. Adam and the install team, top notch, clean, quiet, very helpful and went out of their way to be accommodating, great crew, I'd take them from reliance in a New York minute. My dad and father in-law approve of the workmanship! " "Authorized contractor Philip came as scheduled and did the maintenance on the furnace and ac. He went above and beyond to fix the wiring problems with the Nest thermostat - Highly recommend this service!" "Ryan showed up on time and was professional. He blew a clogged line out and problem was fixed in 2 min. I had the protection plan which meant there was no cost for his service cost. Excellent all round." "Contracted for a new furnace and air conditioner from Reliance. Sales and install team of 2 were very professional, timely and prepared to answer our questions. We would not hesitate to recommend Reliance to our friends and neighbors. A job very well done! "